Prior to Kogi State governor, Yahaya Bello's first attack on Senator Melaye, the lawmaker has play a fast defensive game by throwing a powerful shades back at the governor. 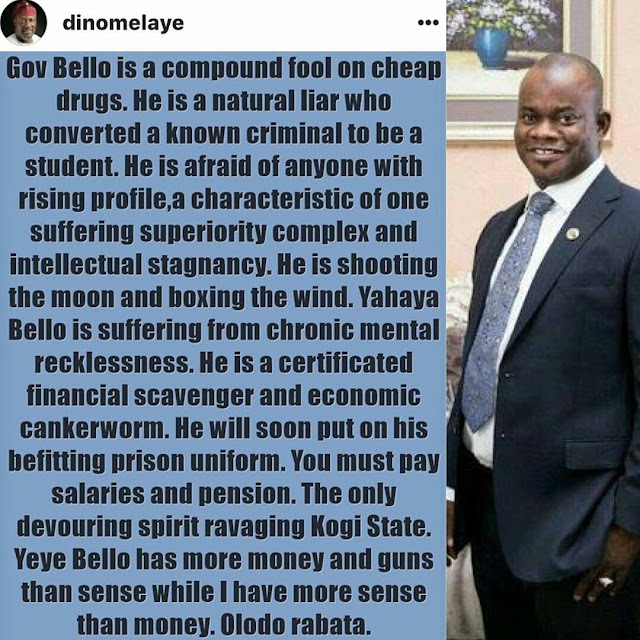 He took to his Instagram page to say; the Governor of the state is a fool cheap in drugs. Gov. 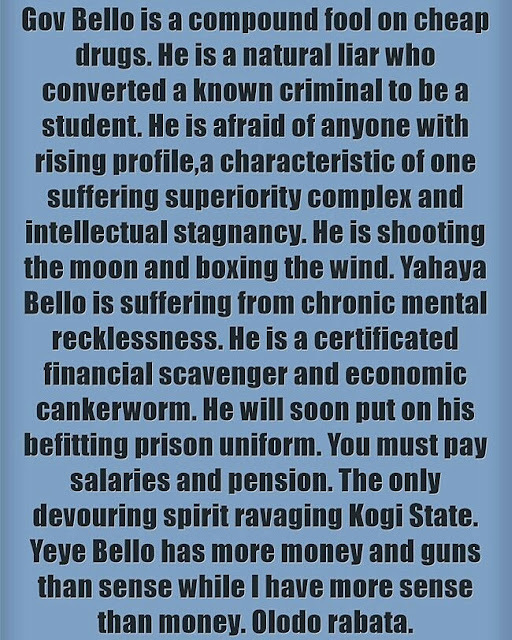 Bello's first attack came Wednesday as a political feud between the two former allies deteriorates, following an outbreak of violence at a political rally in Kogi, for which the two politicians blame each other. Mr. Bello said it had become apparent that Mr. Melaye’s “reckless” behaviour could be traced to his childhood, admonishing Nigerian parents to do their utmost and ensure that their children were properly cultivated. 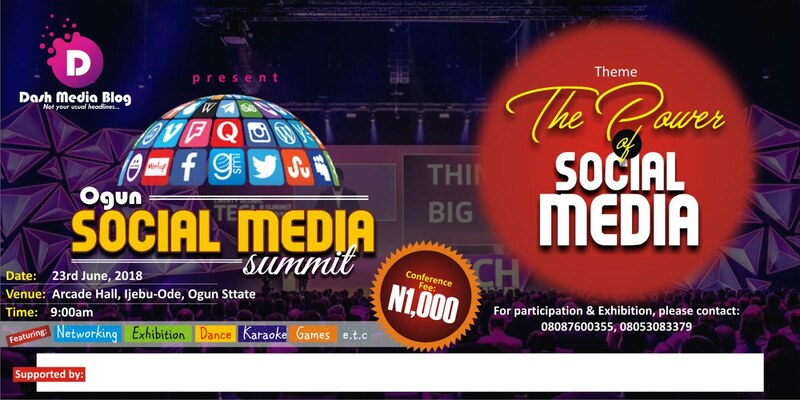 “You see, I would rather admonish Nigerians that when a child lacks proper parental care and upbringing, he constitutes social menace in the society,” Mr. Bello told journalists in Abuja. The governor also scolded senators for doing little to rein in alleged exuberance of their colleague, saying they risk being viewed as cut from the same cloth as Mr. Melaye. Meanwhile, the fight still continues as the supporters of both sides currently shooting the moon and boxing the wind. 0 Comment to ""Gov Bello is a compound fool on cheap drugs"- Senator Dino Melaye"